This is one of the coziest propositions to meet singles in the city! 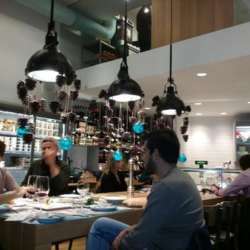 With Thessaloniki Singles Group that is for all the people in Thessaloniki who are single and looking, when we will be more, we could organize parties to brunch and coffee in the afternoon, etc giving you many possibilities to meet other singles. We will meet at 20.30 pm for after work cheeky drinks in this very cozy bar close to white tower. Join us for a mingle with nice surroundings, great background music, fab drinks and lovely people. This is a SUPER friendly feel-good bar and you will always feel really welcome. Kindly reconfirm your attendance with sms or call in my number. Minimum 6 attendees in order the event to take place.